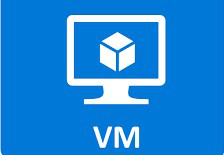 Virtual machine is a mirror system that simulates a complete hardware system of a real computer. The application of virtual machine in the blockchain is to provide a smart contract operating environment. 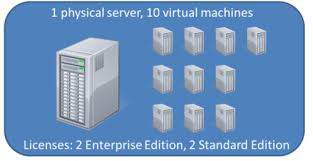 The virtual machines themselves are not stored in the blockchain, but are stored on each node’s computer. 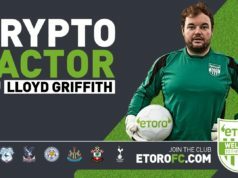 The Ethereum Virtual Machine (EVM) allows users to create their own complex operations themselves. Therefore, EVM claims to be able to accomplish arbitrary complexity of the code, that is Turing complete. Like other blockchain systems, Ethereum also includes a peer-to-peer (P2P) protocol. 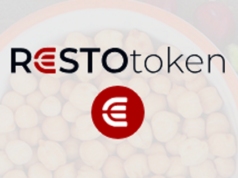 The Ethereum blockchain database is maintained and updated by multiple nodes connected to the network, each node of the network could run EVM and execute the same order. 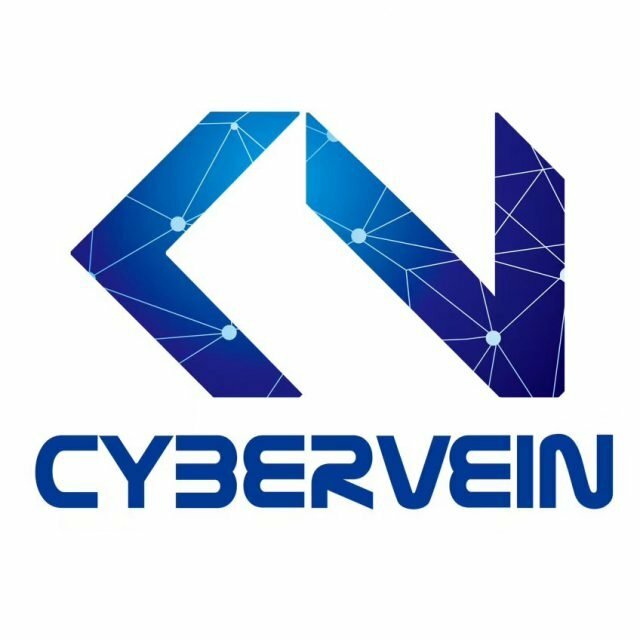 The distinctive feature of CyberVein is the development of the network while developing its own programming language Vein and the virtual machine CVVM. The language of Vein will be based on the programming language solidity for some improvements in run-time mechanics and enrich libraries for database operations at the same time, to fulfill the function such as defining method call costs. 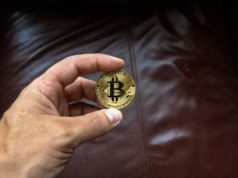 The language of Vein is convenient for existing writers for smart contracts of blockchains to join CyberVein, and CyberVein releases related documents to help developers get started faster. Not only supply the effective running of operation environment and smart contracts, but also every node of operative virtual machine has a independent sandbox, to ensure it will not influence the data on the chain or be influenced under the using. The data analysis task under the big data era is more complex than traditional data analysis, because of the huge data size. Since CyberVein will own large scale data, the MapReduce model could be a solution for data storage and handle performance bottlenecks. 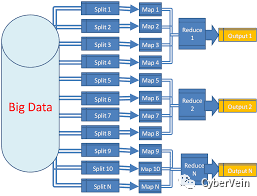 MapReduce is a programming model proposed by Google, it is used for parallel computing of large scale data collection. Normally it is using a Map function, to map one collective key-value into a new collective key-value, and parallel operating Reduce function to count new collection occurred by Map. The primary consideration of MapReduce is the data distribution and reliability of node, and that matches with the character of blockchain. There are two kinds of participant roles in CyberVeinDB: DataStore and DataUser. The Datastore is using MapReduce to solve data storage problem on the physical node level, and DataUser is using MapReduce to solve data handle performance problem under the virtual machine level. It may be existing multiple DataUser in a complete smart contract of CyberVein, and DataUser can build a logical group directly, therefore CVVM uses the parallel computing model of MapReduce which can speed up the data read, transfer, retrieval, merging, sorting and filtering, which greatly accelerates the data processing speed without affecting the other nodes in the chain.